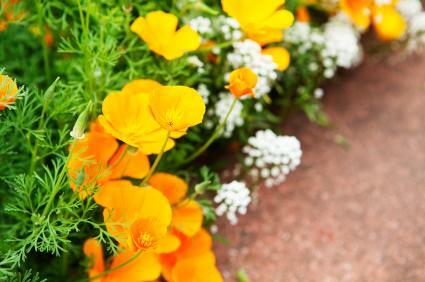 The California poppy can add lovely bursts of color to your garden. If you're not familiar with this plant, you'll be surprised by how extremely easy it is to grow. The beautiful California poppy is the state flower of California, where it can be seen growing naturally in fields and on hill sides. This poppy is also widely distributed across North America. 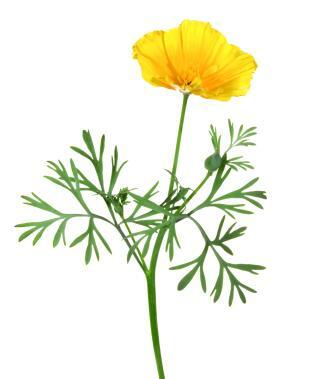 California poppies are very easy to cultivate. Plant the seeds in the fall (for the longest blooming season) or in early spring. Plants will reseed from dried seed pods. Pull the plants up when they turn brown, and crush the pods to release the seeds. 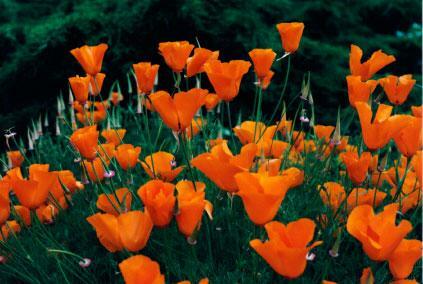 California poppies dislike being transplanted, so growing them from seed is the best option. The gorgeous color of these poppies and their delicate foliage provides a lot of visual interest when you include them in your landscaping. Beds: Plant these poppies in groups to create areas of brilliant color. Borders: Use them to create lovely borders for garden beds and walkways. Container gardens: Plant them in containers with good drainage, and group them with a variety of other plants on your patio, terrace or balcony. All that beauty with so little care required makes the California poppy a must have for any garden. Take a look around your landscape and see if you have a spot that needs brightening. This poppy can surely do the job.